Kali Limenes (i.e. 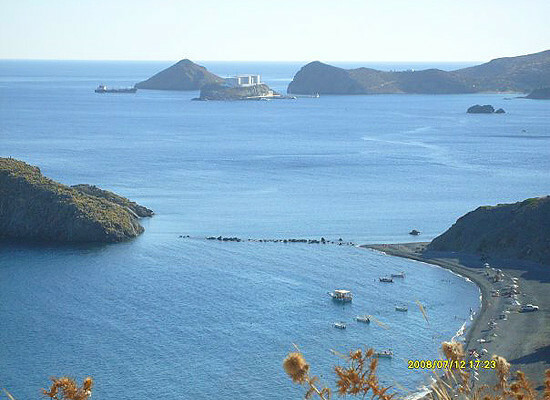 Good Ports) is located 75km southwest of Heraklion and is the largest seaside village in Asterousia Mountains. It is one of the very few coastal areas of Asterousia, where you can get through asphalt road. To get here, you have to drive from village Pompia, in Messara Plain and follow the road to Pigaidakia village. The road is dangerously narrow and has several sharp turns, but worth the disturbance. There’s a second dirt road that heads to Kali Limenes from the Monastery of Odigitria, chosen especially by those who have visited Agiofarago or those who want to get a feel for the wildness of Asterousia.